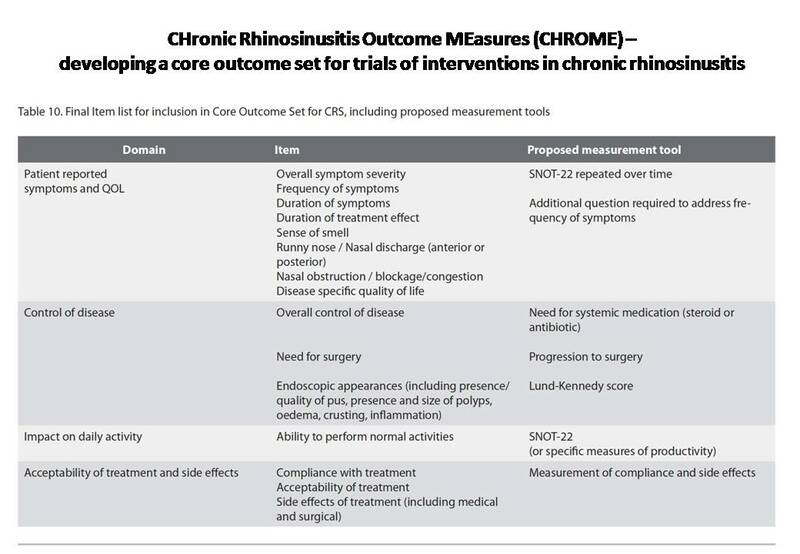 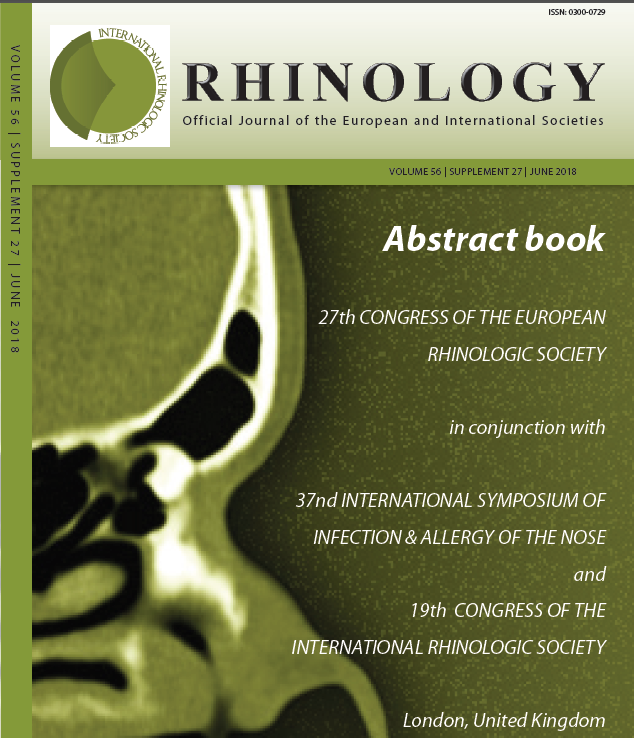 Rhinology (ISSN 0300-0729) is the official journal of the International Rhinologic Society and appears quarterly in March, June, September and December. 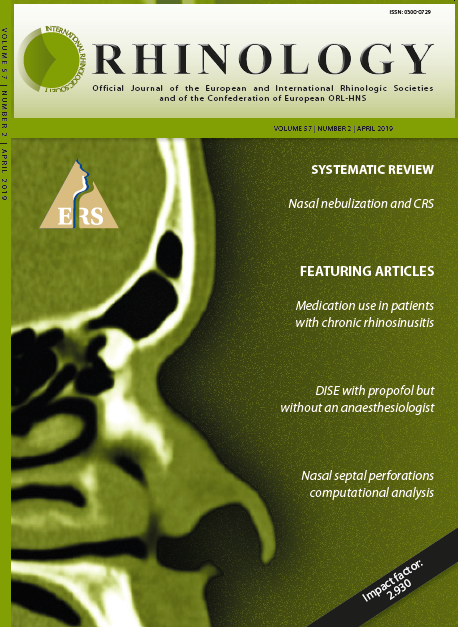 Cited in Current Contents, Embase, Exerpta Medica, Index Medicus and Scopus. 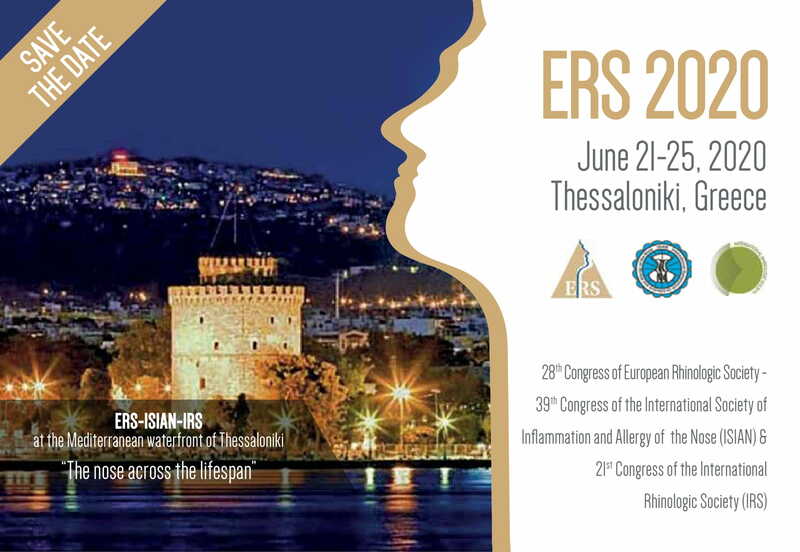 Free access for Junior members (under 35). 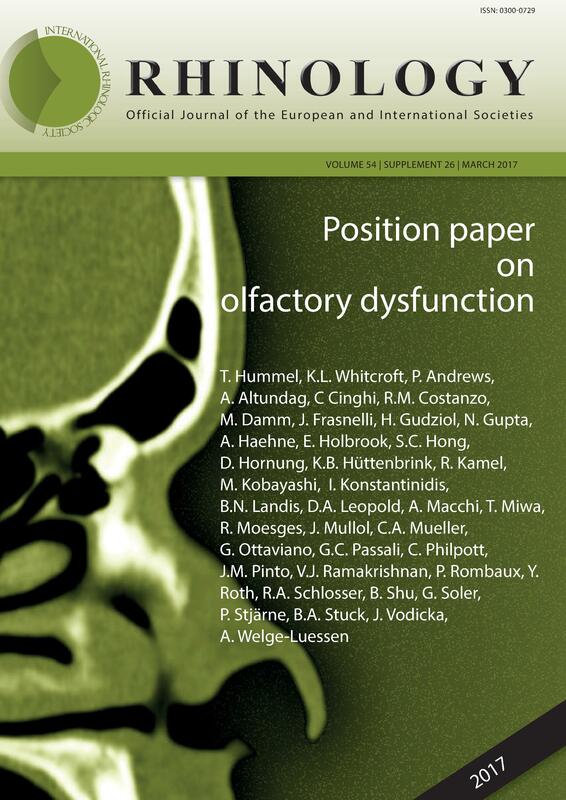 Supplement 24: The new European Position Paper on the Anatomical Terminology of the Internal Nose and Paranasal Sinuses.